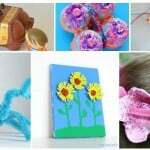 Recycled crafts are the best crafts. 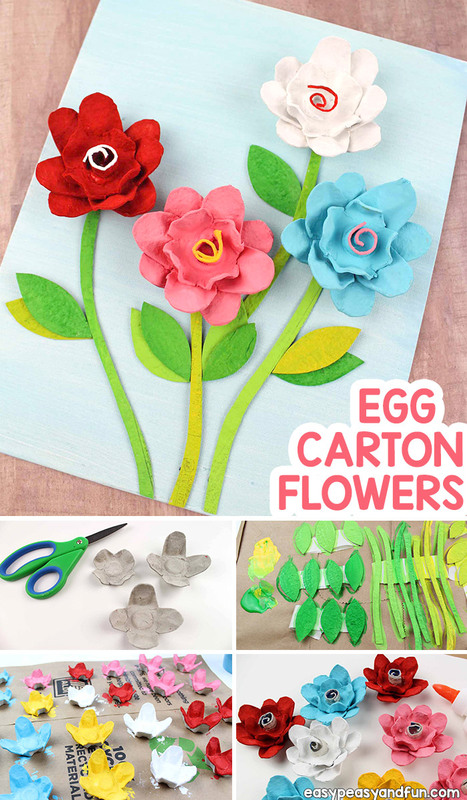 If you’ve got a couple of egg cartons laying around (or similar) use them to make this gorgeous egg carton flowers. 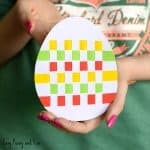 No need to use the egg carton either, we use this term very loosely as a variety of cartoons will do the same job – some drink holders, chocolate egg cartoons…. 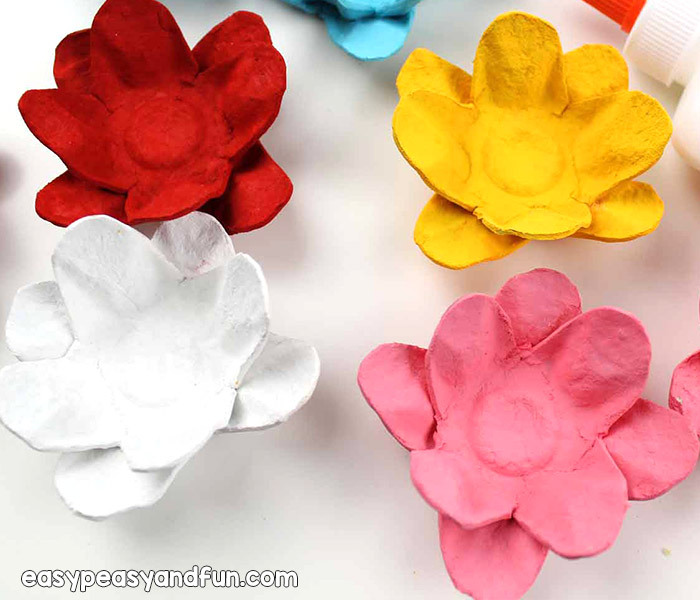 In this simple tutorial you will learn how to make flowers from egg cartons, and super gorgeous looking ones at that. 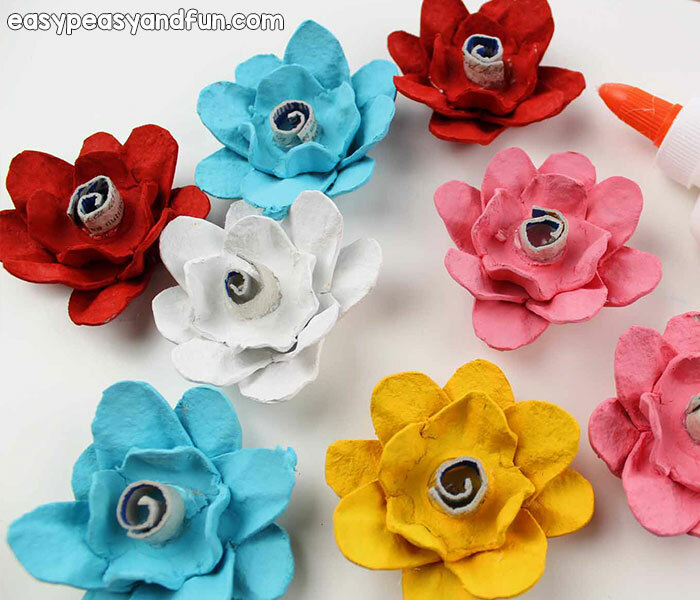 These are appropriate for many age groups as they are fairly simple to make and look really pretty so will cater to older kids (and kids at heart too). 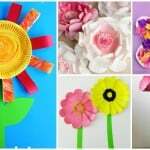 Spring time is best time to make these flower crafts and they make a wonderful Mother’s day craft too as you can make them as a canvas or even use them to decorate a mother’s day card. 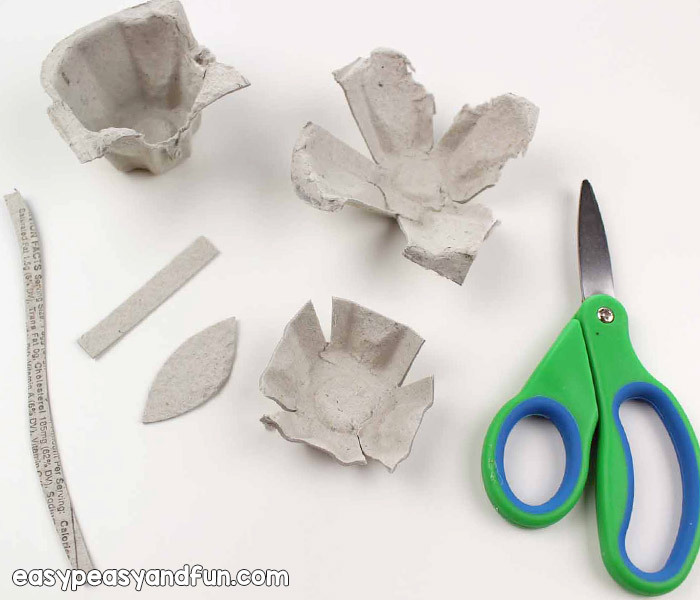 If working with egg carton cut the “cups” – each cavity makes one cup. 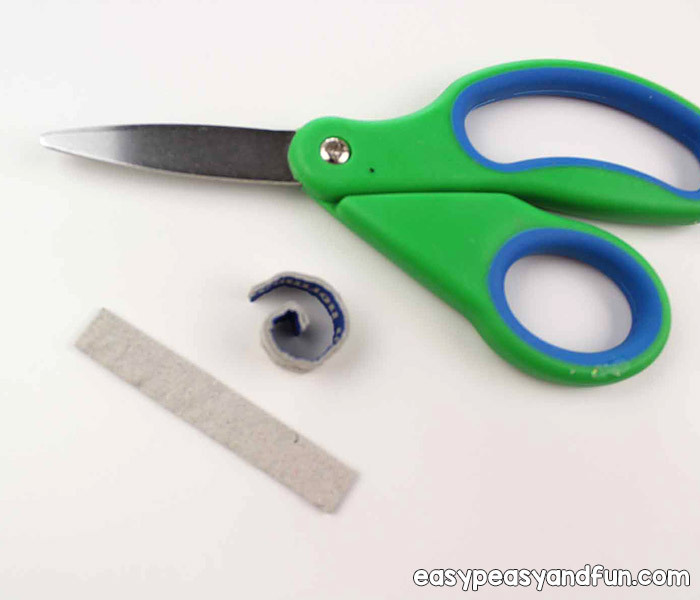 If working with any other cartoon, like cup holder, cut in the same manner. 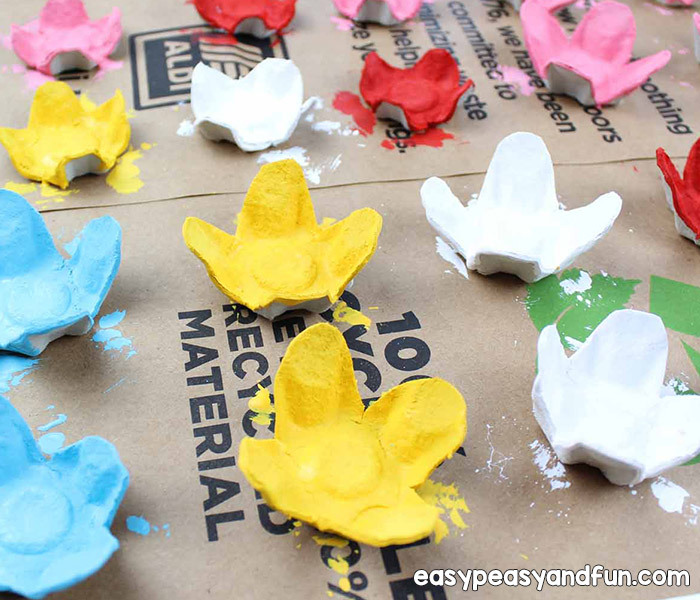 Cut the sides of each pieces, this being the first step into shaping your egg carton flowers. 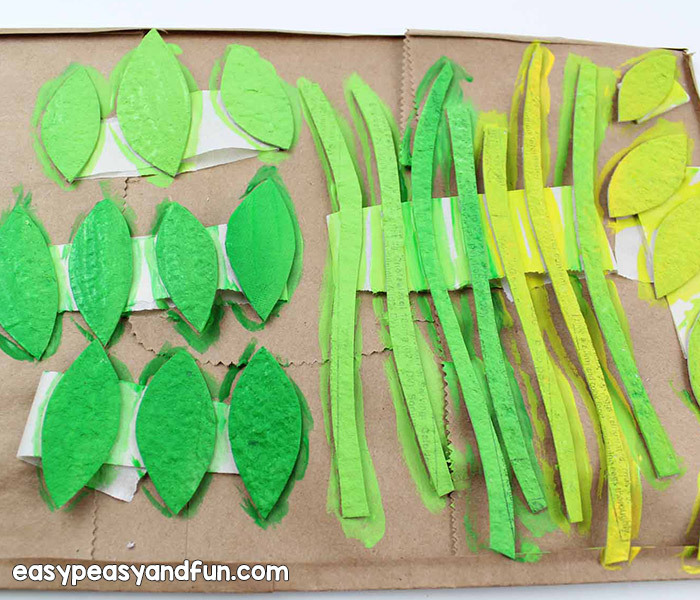 Also cut leaves, stems and a short straight strip from the flat top of the egg carton. Shape the sides, make them round. 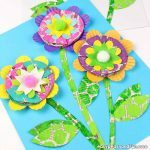 You will need three cups, one with smaller “petals” and two with larger ones for this project, so keep this in mind as you shape your petals. 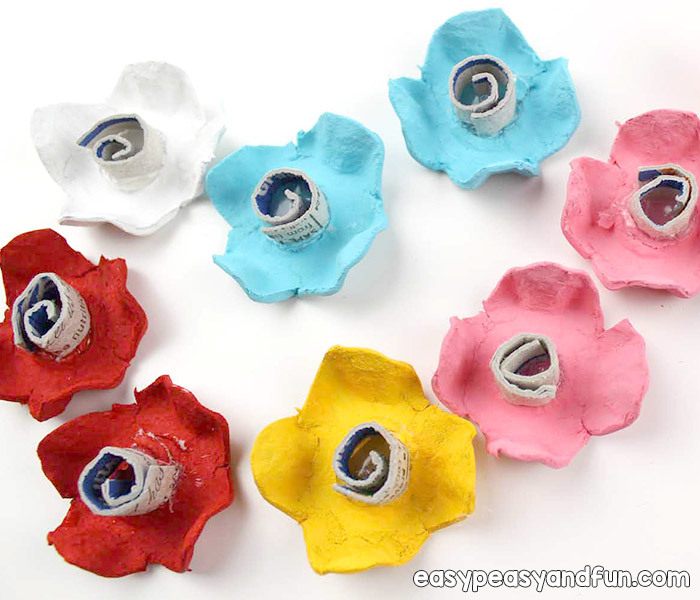 If crafting with younger kids, let them just use one or two cups for one flower as this will make it easier for them. Roll the short straight strip into a spiral. 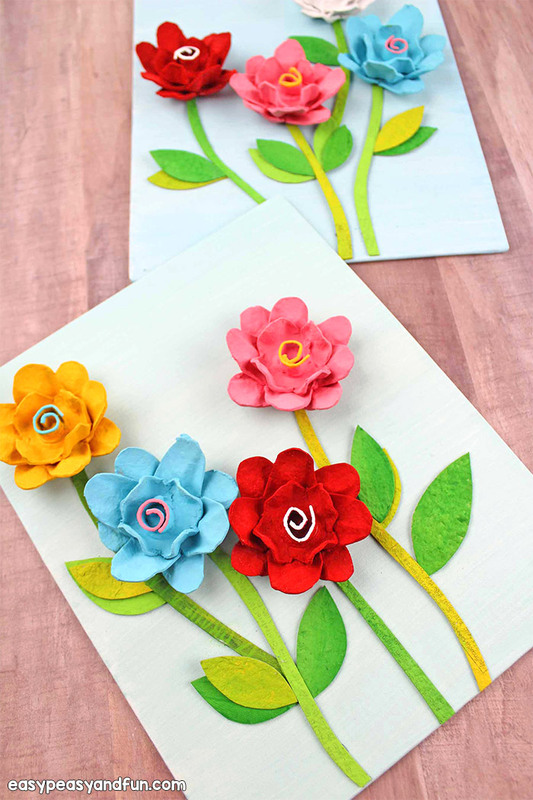 Bring out your favorite floral colors and paint all the petals. 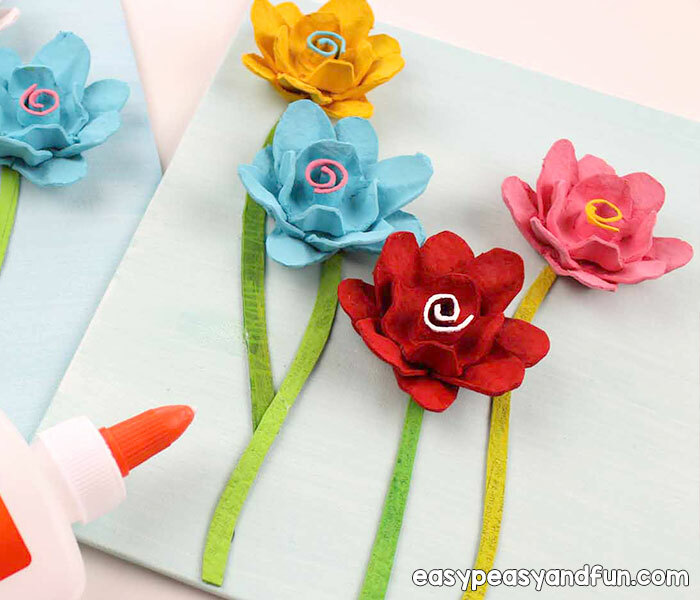 Don’t forget to also paint the stem and leaves green. 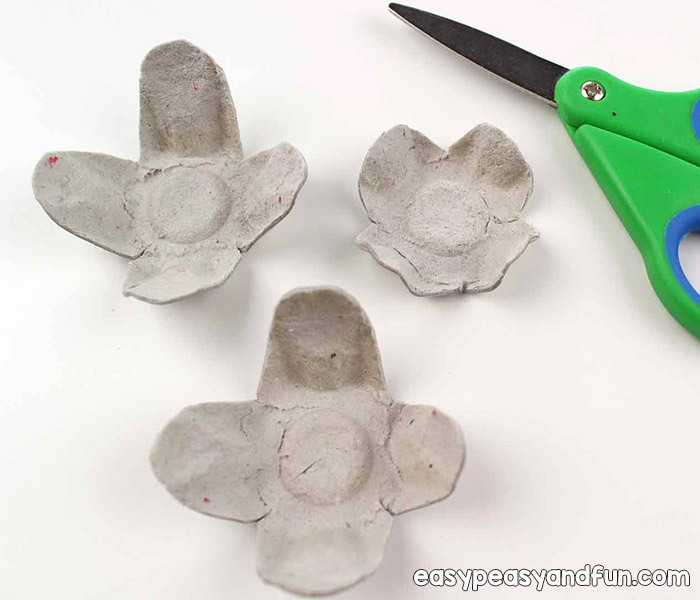 Glue two egg carton cups one on top of the other. Now glue the small part in the center of the two you previously glued together. You can leave the rolled spiral as it is or you can color it too. 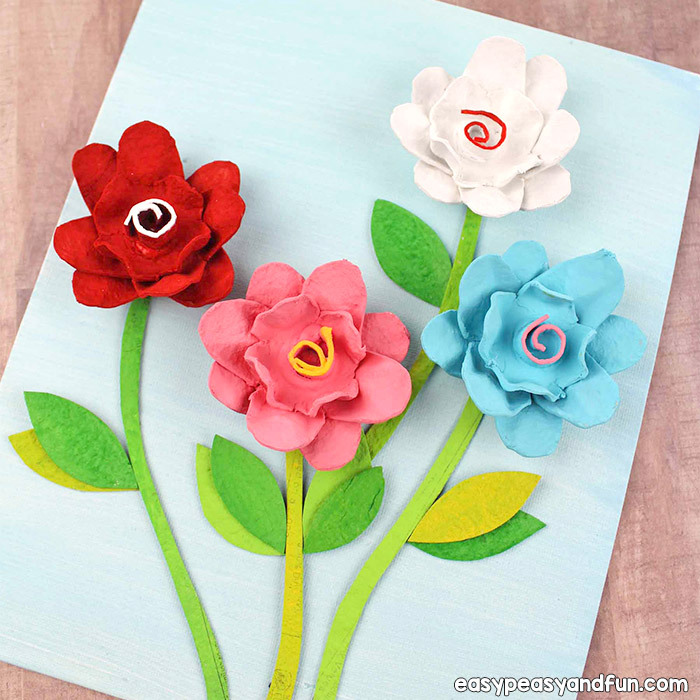 Either paint it in the color of the flower or in different colors. 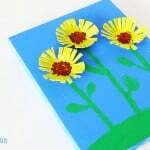 Glue the flowers on the canvas (painted or white) or on construction paper. Project contributed by Jacquelyn W.